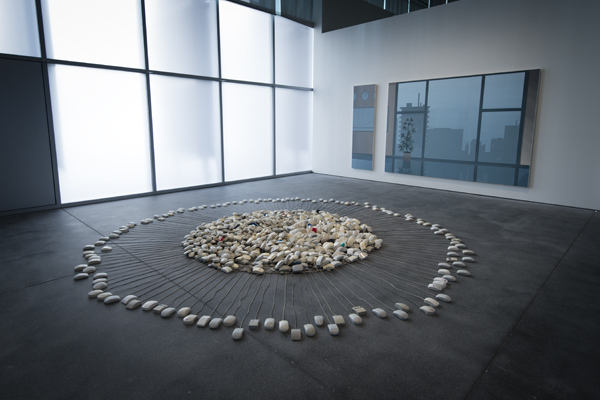 Installation views courtesy Yerba Buena Center for the Arts. For his contribution to the exhibition catalog for Office Space, curated by Ceci Moss at Yerba Buena Center for the Arts, Mike Pepi dissects Holacracy, the new management philosophy sweeping Silicon Valley. In Holacracy, your job description now includes the cognitive labor required to dissolve your subjectivity into a machinic assemblage. Holacracy saved Brian Robertson’s life. Shortly after takeoff on one of his first unassisted flights he began checking the cockpit for signals. He noticed an unfamiliar “low voltage” light on the dashboard. He checked all the other signals, dismissed the light, and assumed he was in the clear. It was a disastrous decision. He ended up lost and in a storm, and was forced to make a perilous emergency landing. That little unfamiliar light was critical, but he ignored that input based on a perceived hierarchy. A slew of more powerful signals outweighed the one sensor that really needed to be processed. The lesson was clear: hierarchy can be fatal. But there is something even larger at work in the shift described by Robertson, who developed the roots of what became Holacracy as founder and CEO of Ternary Software, and since 2007 has helped deploy it in more than 300 organizations. Old forms of authority developed at a time when organs of leadership moved more slowly, decisions could marinate, and constant adaptation was not the highest order of business. Today, as the familiar refrain goes, speed is a virtue. It’s no longer simply about capitalism prizing workplace efficiency; in networked society, the rewards for moving fast and discovering optimal routes are geared toward lean, agile, autonomous forms of work. In Robertson’s words, “Holacracy is just one expression of a broader evolution toward a new way of structuring our world.” To handle the demands of the new economy, “bolt-on” reforms aimed at flexible structures, risk management, and adaptability weren’t cutting it. The entire “operating system” would have to be replaced. And so, in the 21st-century information economy, workers and managers are being sold a new type of empowerment: that more responsibility, more accountability, and the upending of management hierarchies will lead to a greater sense of purpose for rank-and-file employees. Holacracy dreams of “harnessing true self-organization and agility throughout an enterprise” where “everyone has their own autonomous zone.” It’s a “different type of hierarchy” for a “different purpose.” Put another way, hierarchy has novel ways of morphing to fit the times. It used to govern the production of things, but now it’s a hindrance to “flows”. Holacracy begins with a ceremonious upheaval of traditional authority, as the CEO of your organization adopts the Holacracy constitution—an ever-mutating document that provides the base rules of governance. This is a useful exercise in the aestheticization of immaterial labor, a new metaphor in service of a new ruling class that controls not the means of production but the transmission of information. Theorist McKenzie Wark calls them “the vectorialist class.” But whatever the term, such managers must become proficient in new forms of exploitation of work. Far from breeding autonomous, self-organized forms of authority in the workplace, Holacracy is little more than a new form of networked management designed for higher productivity and sold under the guise of white-collar liberation. To grow, new capitalism must strain with every fiber to find new cloaks. But what about those rules? “Tactical” and “governance” meetings are heavily regulated. Every circle has a lead link and a rep link, whose roles are to represent the interests of all of the circle’s roles. All roles are assigned by the circle’s lead link. Each circle elects a “facilitator” and “secretary” tasked with being the neutral referee of the circle’s meetings. In a typical meeting, the circle members raise tensions that, one by one, are answered by proposals. Not all types of tensions, however, are allowed to be raised by participants. 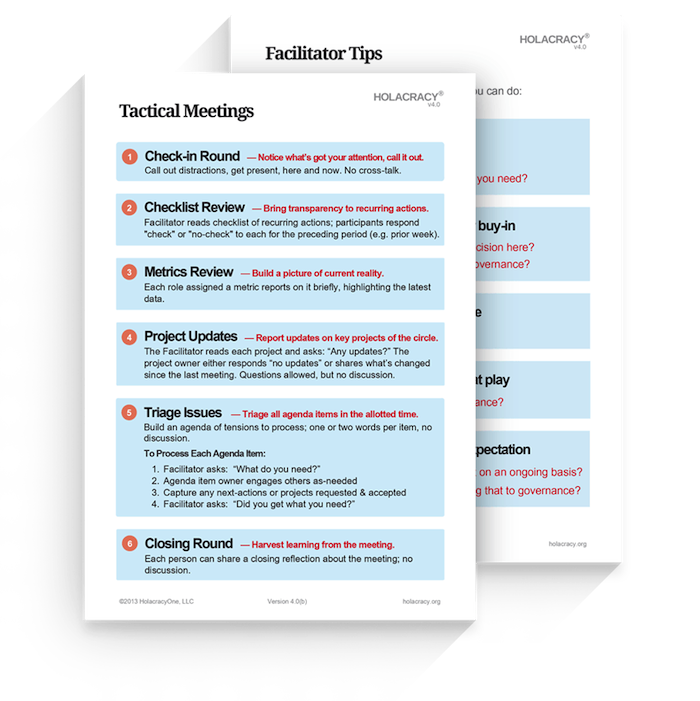 Any final proposals rendered have a highly-specific set of rules that they must pass before they can be declared a valid “output” of a meeting. It’s up to the facilitator to regulate these by inviting objections, but only objections that are valid outputs of Holacratic principles (they all must pass a six-question test). Even after months of training and practice, Robertson notes that new converts remain in sheer awe of the delicately intertwined rules and relationships that permit Holacracy to throw off old, vertical forms of authority. It is only through a baroque disciplinary regime that Holacracy achieves worker autonomy. In this sense, Holacracy is every founder’s dream: how to make employees feel empowered and autonomous, even as the company scales in ways that cannot possibly benefit them. The missing piece is the equity stakes of those employees, of course. Robertson’s book is silent on the question of how equity should be remodeled in a Holacratic organization, opening up the window for abuse. A junior full-time employee with a $55,000 annual salary should be overseen and overruled by the person with a cut of the company’s equity. The parent-child model exists because it is a reflection of investment in the company itself. It is disingenuous to try and organize a governance structure aimed at empowering low-level employees to take more of a role in steering the organization when they will not see any of the potential gain. This incongruence is reflected further in Robertson’s aphorism “work on your organization, not just in it.” It’s a feel-good notion that any CEO would do well to promote, as it crowdsources the risks of organizational competence to every worker without advancing any clear compensation model for the additional cognitive labor. Such a principle strikes at the darker essence of Holacracy: it is a framework facilitating the exploitation of the invisible, “immaterial” labor—call it organizational self-care—that leaders in the new economy must harness to stay afloat. In much the same vein, Robertson targets the traditional format of the job description. Technically the only clear enumeration of your power and responsibility lies in this phantom document. “What are the ongoing activities we need to pay attention to, and who will own each?” “What decisions can I make and what actions can I take without having to call a meeting?” In many start-ups it is tucked away in a drawer, if it exists at all. Holacracy recognizes that this unit of authority must be amenable, constantly fine-tuned to the challenges at hand. This is precisely what Holacracy’s “Governance” framework achieves. A fluid job description means you can work on everything, anytime, anywhere, for any reason, just as easily things arise. This isn’t just about flexibility, but rather a result of the new nature of networked collaboration and production. The unit cost of doing the things we do in the normal course of business is continually dropping, to the point where focusing on one task based on a specialization is increasingly risky. Thus the protections that originally grew up around the idea of specialized commitment are now going out of fashion, as are the structures that once governed their execution. So much more output is possible, if only the legacy institutions propping up (and protecting) the costs of labor could somehow be disintermediated. Holacracy allows for the expression of a company’s purpose only insofar as it avoids the incidental, messy, and inefficient expressions of the humans that run it. The real work of Holacracy is, then, not so much about empowerment of individuals as about using them as sensors to process tensions that can be used to remodel their roles. The real humans who work in a Holacratic organization are just stewards of this role, whose main objective is to allow the “group’s capacity to express its purpose.” While explaining the all-important Integrative Decision Making process, Robertson warns of a grave offense: “anything that conveys an opinion to the proposer is probably a reaction.” Squashing this “noise” is central to establishing the integrity of the levers on which Holacratic governance runs. This recursive “algorithm” is “all that matters. When you hear Robertson describe Holacracy as a “new, more agile and responsive organizational operating system” it’s not difficult to understand this idea as the outgrowth of a specific digitally techno-determinist worldview. Holacracy uses one side of its mouth to speak of ease of use, fluidity, and happy employees, and the other to architect a neutral, machinic regime. But unlike previous metaphors for management strategy, this isn’t quite Taylor’s machine, where breaking down tasks into compartmental fragmentation might lead to measurably efficient organizations. Taylorism minimized tasks according to a mechanical machine metaphor, whereas Robertson’s machinic vision extends out to something like the meta-cognition of artificial intelligence: employees aren’t cogs but nodes, as today no good piece of technology is without “smart” integration. Holacracy is a management methodology for founders who believe that their companies would be better run by computers. 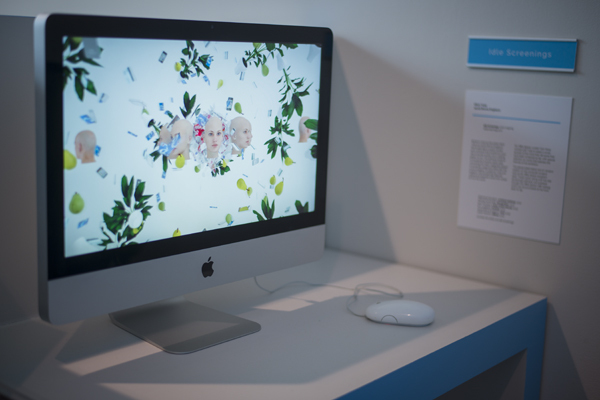 Some of the telltale concepts of computer science are peppered throughout Holacracy. Words such as flat, distributed, and networked play parts in most of Robertson’s rationales. An outmoded corporate structure is like an old operating system: a certain amount of complexity landing at the top is too much to process, and signals are either misinterpreted or ignored. Computers and the software that runs on them provide the ur-model for how a company should run. Fit designs are selected and kept, and to the extent a design is less than ideal for a given purpose, tensions will surface. 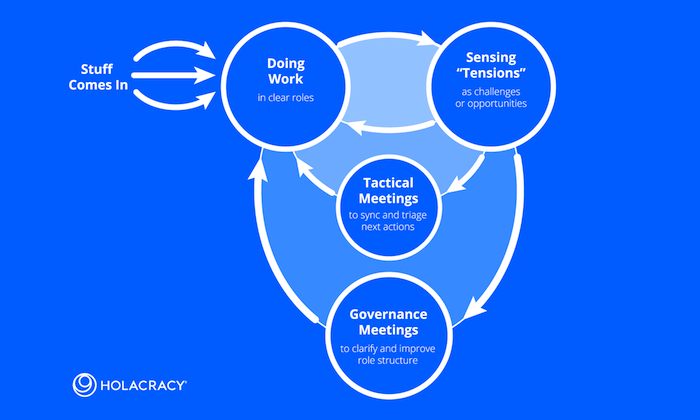 It’s our human capacity to sense and process these tensions through governance meetings that gives us a way to vary the code: we evolve the organization’s design through Holacracy’s governance process, one tension at a time. Each successive iteration through governance gives us a new variation on our organization’s code, and each variation is further expressed and tested in an ongoing process, as evolutionary innovation carries our organization forward. With Holacracy, no single person designs the organization, and no single group sits down and designs the organization. Rather, an organization’s design is an emergent result of an evolutionary algorithm—and that’s a good thing, because when it comes to finding fit designs, evolution is much smarter than we are. For Robertson, employee behavior can be reformatted by the inherent intelligence of evolution. Humans, it would seem, are fundamentally secondary, either improving evolution’s pathways or getting in its way. But what is all this optimization for, exactly, if the humans who participate in it are somehow subsumed as mere sensors in its optimization algorithm? Once again, Holacracy is silent on the endgame of such a beautiful machine, because the true value that is derived from the Holacratic organization still filters back into types of currency that are anything but distributed or nonhierarchical in nature, whether they are equity, dividends, or any of the world-historical spoils now generated by information capitalism. In one sense, the reason for Holacracy is purely economic. It’s silly to fault management literature for being capitalist: that would be like faulting military strategy for being too violent. What’s more interesting is how Holacracy processes the reasons behind the environment of networked capitalism. Why aren’t organizations “built for these kinds of changes,” and how does Holacracy operationalize ideas from digital technology onto the fickle realm of human production? Robertson makes no pretense of abandoning authority. Rather, Holacracy is an attempt to reformat it to cope with tensions in a way that is particularly attuned to the elastic nature of networked capital. But many “tensions” are natural. They are acceptable by-products of working together with a team to achieve more than a person could on their own. The very essence of work is additive, not a constant testing ground for a final solution to be unlocked. This outlook is directly related to the industry from which it emerged. In the world of software, the engineer is constantly attempting to arrive at the computation of a “product.” The humans who are involved are at best ham-fisted experiment facilitators, and at worst objects of interference. This is because the cost of software’s deployment, once created, is zero. A copy of an application is as close to immaterial as one can get (the machines that run it are another story). Software does work that produces a world, not work that reacts to a material need. Unlike a law firm or a financial services company, which can simply adjust its client fees, software companies are often locked into a precarious game where organizations must think like an optimized platform, each operating in the zero sum game that they have cooperatively constructed. In order to scale, you must also be properly encoding the modular parts with the same level of care. In the run up to their launch and during the continued process of fine-tuning and improving new releases, software companies organize their employees with the understanding that they are trading in ephemeral products whose value is inextricably linked to replications and platforms. While the human cost of development is modeled into the end product, once the product is out there, organizations are pitted against competitors who can easily charge less. Holacracy is one way to take the best of the mediating nature of software and its development and deploy it on humans, who may or may not be involved in its production. In Holacracy, your job description now includes the cognitive labor required to dissolve your subjectivity into a machinic assemblage. At last, when Robertson markets his vision using the language of worker emancipation, it is reproducing what is perhaps the most widespread fiction of our networked age: that distributed power creates autonomous zones somehow separate from a central sovereign, that networked organization is somehow less susceptible to forms of authoritarian abuse than our “traditional” vertical forms. Simply redrawing the connectors doesn’t remove the lines of dependency and power. 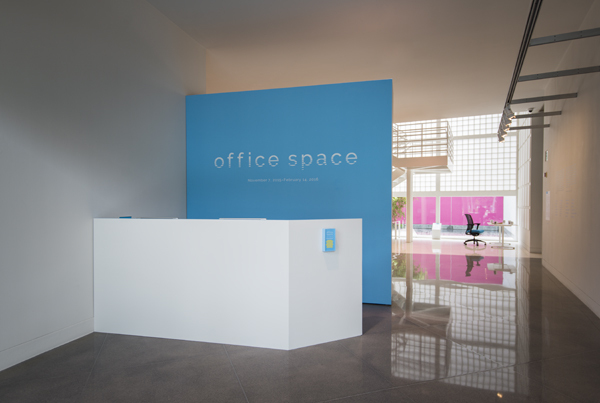 Office Space is on view November 7, 2015-February 14, 2016 at Yerba Buena Center for the Arts in San Francisco. Office Space cleverly subverts contemporary office culture as a means of exploring labor practices in the 21st century’s post-industrial economy. 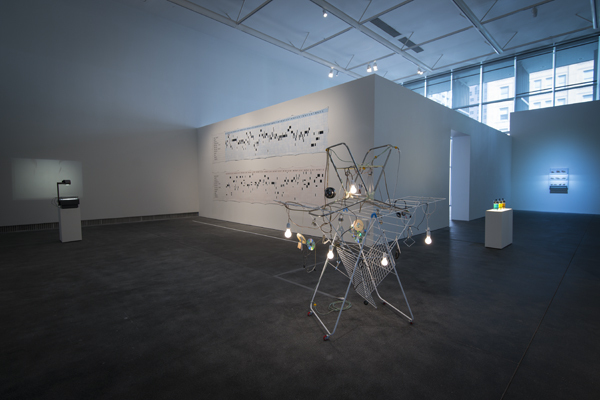 As offices become mobile, and the nine-to-five becomes a nonstop 24-hour cycle, this exhibition reflects on what the Italian theorist Maurizio Lazzarato has identified as the rise of “immaterial labor” in developed, post-industrial countries. 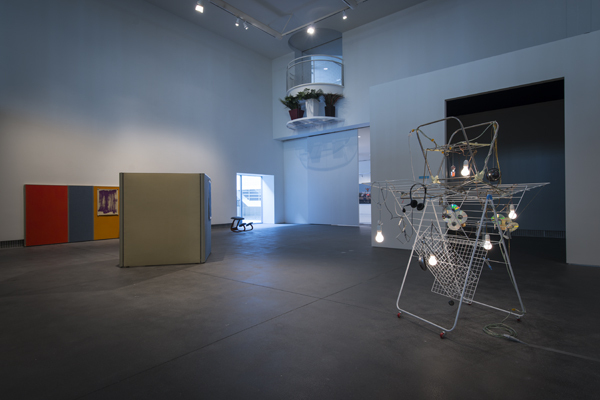 Citing the predominance of a service and information economy, as well as the rapidly dissolving line between pleasure and work among consumers and workers alike, Lazzarato describes “immaterial labor” as all the ways and means by which goods and services acquire their “informational and cultural content.” Through video, sculpture, painting, and installation, the artists in Office Space interrogate universally recognized aspects of office architecture, design, aesthetics, and protocols as a means of understanding the shift toward immaterial labor practices. 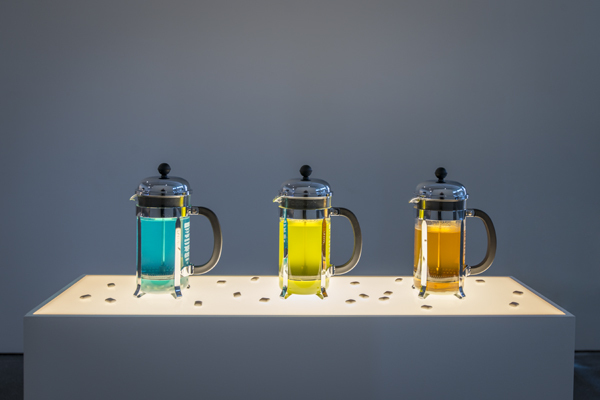 Background video: Bea Fremderman, Kafka Office, 2013. Courtesy the artist. Mike Pepi is a writer living in New York. His work has appeared in frieze, e-flux, Flash Art, Art in America, DIS Magazine, The Straddler, The New Inquiry, Artwrit, The Art Newspaper, this is tomorrow, LEAP, the Apollo Magazine Blog, Big Red & Shiny, The Brooklyn Rail, Rhizome, and The New Criterion.